It is no exaggeration to state that Tesla’s business hinges on its battery technology. Fortunately for the company, its batteries are among the best in the industry today. This is particularly notable in the case of Tesla’s electric cars, as well as its energy storage products. In terms of vehicles, Tesla’s battery tech has reached a point where it is capable of supporting the demands of closed circuit driving, as is the case with the Model 3 Performance’s Track Mode. In terms of battery storage, the quality and performance of Tesla’s batteries have been so impressive in South Australia that it appears to have started an energy storage movement. Considering Tesla’s reputation for never staying still, though, it is almost certain that the company’s batteries will improve over time. This was mentioned by Tesla’s President of Automotive Jerome Guillen to CNBC last November, when he noted that the company’s technology consistently evolves. In his segment, the executive noted that “the design of the (battery) cell is not frozen,” indicating upcoming improvements in the near future. A recently published patent points to one of these battery tech improvements. Titled “Multi-Channel and Bi-Directional Battery Management System,” the patent describes a way for Tesla to push the envelope on its battery management system even further. In the patent’s description, Tesla noted that the increasing demand for battery-based power is putting an emphasis on the performance demands of management systems, which ensure proper operation within a range of products like electric vehicles and energy storage units. 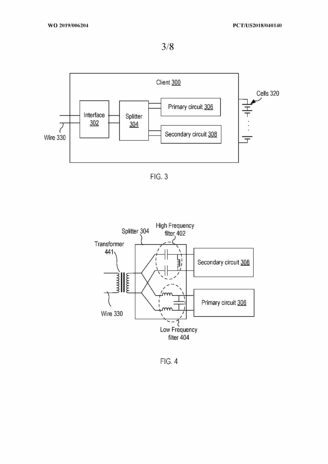 Tesla’s patent describes what could be dubbed as a redundant battery management system, comprising a first client coupled within a multi-channel, bi-directional and daisy-chained communication loop. The electric car maker also outlined a method for identifying a failure location within a battery management system. Tesla describes these as follows. Tesla further discussed its rationale behind its use of daisy-chain loops for its battery management system. Ultimately, Tesla notes that these systems will result in what could only be described as “dynamic redundancy” across its battery management systems. This, of course, could foster a new generation of battery packs that are more reliable than the company’s already stellar batteries. The past months have seen an influx of published patents for Tesla. Among these include an automatic tire inflation system patentthat can pave the way for off-road capabilities for the company’s vehicles, a clever patent that would allow Tesla to address panel gapsduring vehicle assembly, a patent that describes colored solar roof tiles, and even a system that uses electric cars as a way to improve vehicle positioning.